One of the challenges that I am doing this year entails reading from a series or multiple series. This is a common challenge among reading groups that I have been involved in. The particular iteration that I am doing has a few interesting rules, though. First, in order for a series to qualify, you must read 3 or more books from that series. This means that trilogies count, but you cannot use the last book of a series that you have been reading all along or new series that only have one or two books out so far. The second twist is that you must read 24 series books in total throughout the year to meet the challenge. That is the average of two books a month. The biggest problem that I have is I can't decide which series I really want to read for this challenge. There are so many out there to choose from. Has anyone else noticed that stand alone books are falling by the wayside from many of the most prolific and popular authors? Series are nothing new. In fact, the first books that I remember reading as a child were all from various series. I spent many a day with Laura Ingalls, Anne of Green Gables, The Five Little Peppers, the Bobsey Twins, Nancy Drew and later Cherry Ames. Series make a lot of sense from a marketing perspective. If you create a good series concept and good characters, you have your readers hooked. From the readers perspective, series are also nice. 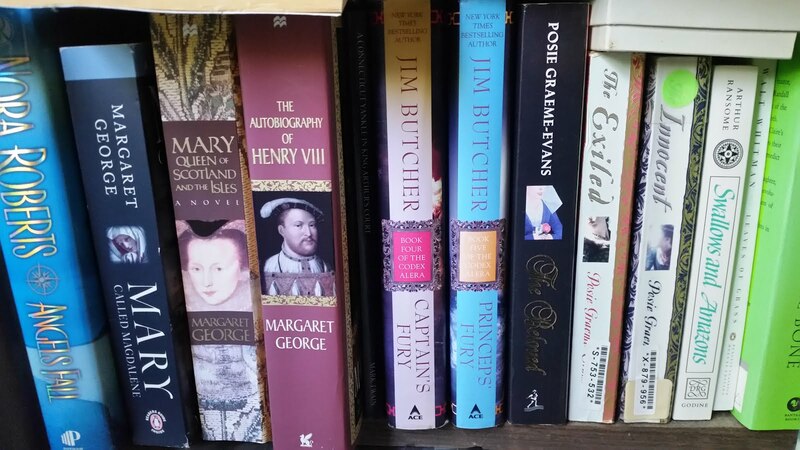 I have read a number of books that I really wanted to be able to continue with the characters. I also have read a number of fantastic series with story lines that just cannot be handled in one book. There is a trick to writing a good series. An author has to be able to keep the story fresh, while still keeping it familiar to a certain extent. The characters must be able to grow and develop and new ones must be introduced. If these two rules are not followed, the series has the potential to become stagnant and readers will leave the fold. 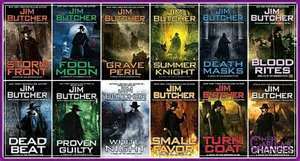 One example of a series done well that comes to mind is the Dresden Files series by Jim Butcher. This series started out as sort of a run of the mill PI series with the twist that the main protagonist was a practicing wizard. As the series has developed, though, it has become less and less about the main character's cases and more and more about the non-human world. Butcher is a master of developing his characters in a way that keeps the reader coming back for more. In addition, his ability to develop the story and reveal a bit more of the big picture in each book is wonderful. His is just one example of a well developed series, and one I highly recommend. I won't be reading The Dresden Files as I have already read all of the ones that have been published to date. What is your favorite series? If you were suggesting a series for someone to read, what would it be? what about the series draws you to it?